Yesterday marked the third of eight scheduled sorting sessions as preparation for our 3 day Sale later this month of Books, Records, DVD’s, CD’s and Jigsaws increases in intensity. Our Community has once again warmly responded to our request for donations for this years event, with good quality items appearing in our collection bins, which have been distributed over northwest Christchurch. These bins will be available until the 17th of April. Members, partners and friends of our Club have been clearing these bins on a regular basis, sometimes 2 or 3 times a day. 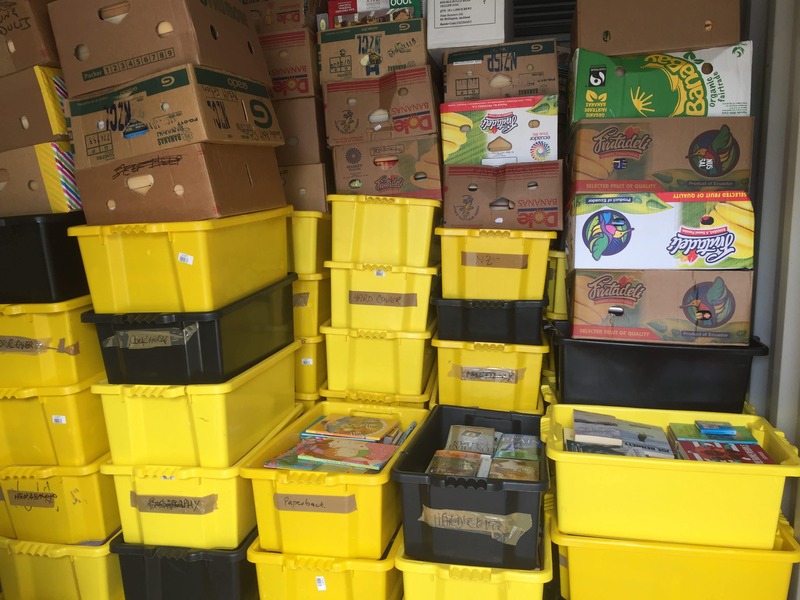 On our sorting days books are checked for quality, sorted into relevant categories and stored before they will be put out for display immediately prior to the sale. As of yesterday, a container and a half of Books, had been sorted and packed in readiness. This years event to be held at the Bishopdale YMCA Recreation Centre located near the Bishopdale Mall. Less than 3 weeks away this popular Community Book Sale runs for 3 days and is now in it’s 14th year of operation. Proceeds from this year’s event will be distributed to Rotary Community Projects.